The final moments of Luke Skywalker: A glimmer of hope at the end of a life filled with regrets. The characterization of Luke Skywalker in The Last Jedi has become the flashpoint in a raging wildfire of a debate about the current trajectory of the Star Wars saga. But with time to reflect since the release of the movie, it seems that Mark Hamill has come to a rather depressing realization that Luke’s fall is much truer to real life than he first thought. 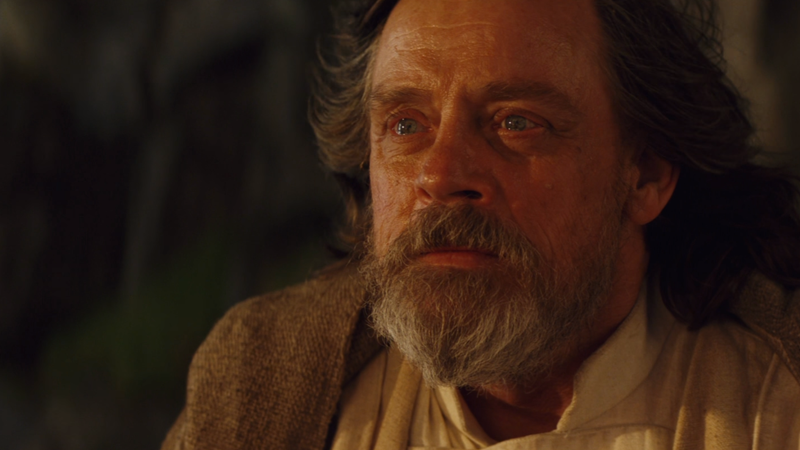 Mark Hamill’s own early hesitation about Luke’s story in The Last Jedi has been used by some disgruntled Star Wars fans to decry that something is rotten in the state of Coruscant. However, the actor himself has spent the months since the movie’s release defending the choice to give us a Luke Skywalker haunted by his failures to break a cycle of rising darkness that has once again plunged the galaxy far, far away into turmoil. In an engrossing new interview with IGN, Hamill touched on how at first he thought that someone so resolutely idealistic as the Luke Skywalker of the original trilogy—the embodiment of what the Jedi should be, a rebel hero, a boundless source of naive optimism among his more cynical allies—falling so sharply into despair was impossible. But then the actor realized something grim: Luke’s own trajectory from idealism to cynicism matched his own. If the state of, well, seemingly everything at the minute didn’t already have you in a downer mood, you’re probably in one now. As in real life, as in Star Wars, as in countless other fictional sagas about aspiring heroes rising up to defeat an ancient evil, nothing is really gone forever, good or bad. A single generation of youthful idealists might enact some change, but without addressing the systems that allowed the villainy they fought to rise in the first place—in Star Wars’ case, the Senate’s corruption makes for fertile ground that both Palpatine and eventually the First Order secessionists exploited—it’s just a momentary changing of the guard. That’s why, as depressing as it is to see a great idealist like Luke Skywalker laid so low, The Last Jedi’s critical interrogation of systems and constructs that helped perpetuate the cycle of conflict in the past is ultimately so hopeful. It finds that hope in a new generation of youthful idealists that might learn something from the failures of its predecessors, and be the spark that lights the fire of lasting change. Sure, it’s a stark realization for Hamill—and through him, the audience—to have, whether about Star Wars or real life. But that’s the way the Wookiee Cookie crumbles.